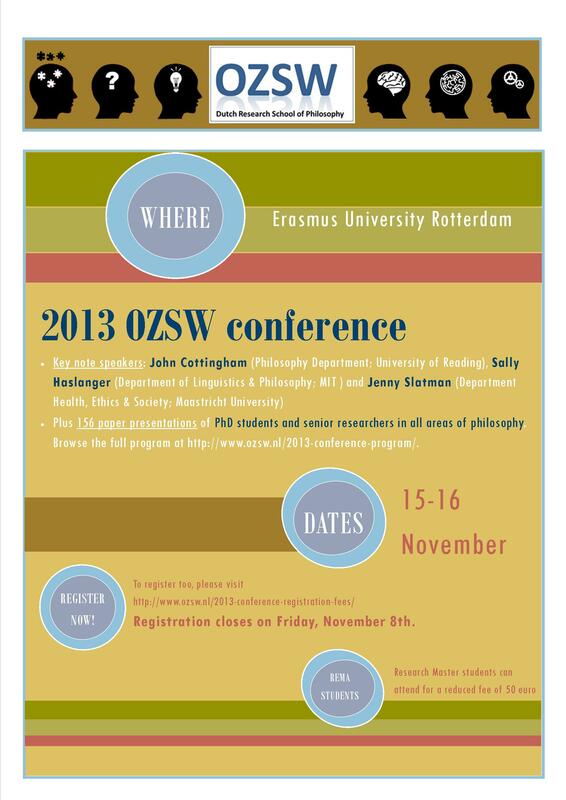 On Friday November 15 and Saturday November 16 the OZSW will organize its 1st Annual OZSW Conference in Philosophy at the Erasmus University Rotterdam. 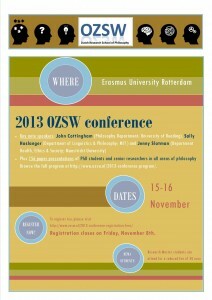 Download call for abstracts. The deadline for abstract submission has been extended to May 20th.